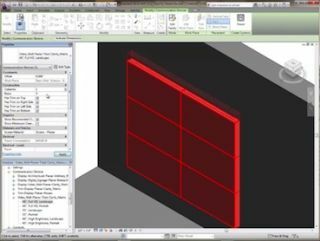 Planar Systems, Inc., a provider of digital display technology, has released 3D Building Information Modeling (BIM) models of select Planar large format LCD displays and video walls for free through the Autodesk Seek web service. Autodesk Seek allows architects, engineers and designers to easily find, preview and download 3D models of Planar displays. They can then incorporate these models into their building plans without having to create the models themselves. According to a report by McGraw-Hill Construction titled, “The Business Value of BIM in North America: Multi-Year Trend Analysis and User Ratings (2007-2012),” BIM adoption has grown 500 percent in the past years among AEC (Architect, Engineering, Construction) professionals and research indicates that up to 80 percent of firms have adopted BIM. 3D BIM models of three Planar product families are now available from the Autodesk Seek online content library, a web service that supplies free BIM models from a wide range of building product manufacturers. The models include Planar Mosaic architectural video walls, Clarity Matrix LCD video walls and Planar UltraLux Series large flat panel monitors. Each of these BIM models provides data-rich drawings and product specifications that accurately depict the displays and their options within Autodesk Revit, a 3D design platform. While Planar has provided 2D CAD drawings of its products for years, it was time-consuming for designers to turn these 2D drawings into accurate 3D objects. With the 3D BIM models available on Autodesk Seek, building professionals can now download these models and easily plug them right into their overall project designs, speeding up their work and improving the quality of their project models.